I'm not supposed to be posting on this blog any more, but I wanted to share my post about the Michael Pinball Clemons Foundation - I am very honored! 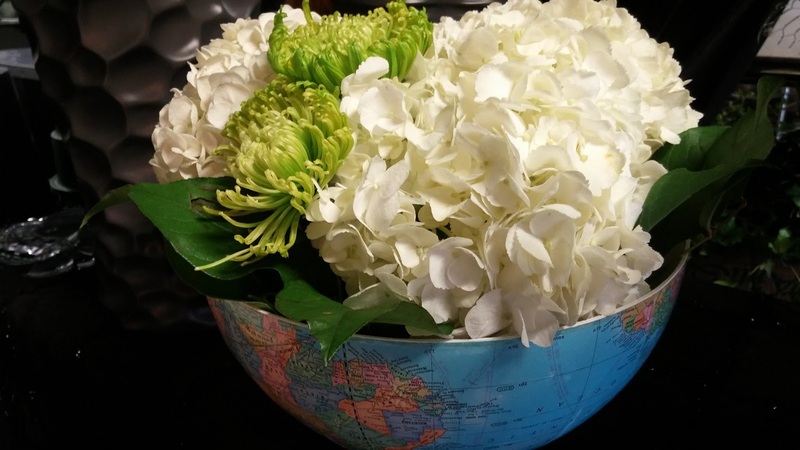 I was asked by a lovey woman named Kalla, if I would be interested in creating 50 world globe bowls (which will hold floral displays) for the upcoming Michael Pinball Clemons Foundation annual charity gala. Of course, my answer is yes!! 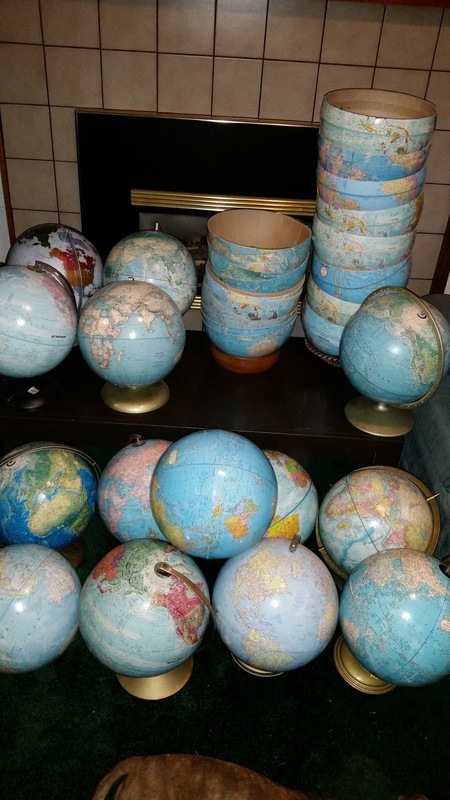 To accommodate her request, I'm scrounging around for as many blue globes (reasonably priced and in decent condition) as possible. I only need 3 more globes! Do I feel badly - that I am cutting them up (some might even say destroying them? )....yes a bit. But for the most part, these are all slightly damaged (if not heavily damaged), and many of them were already coming apart at the seam. ALL of them were gotten at thrift stores or garage sales. I will lovingly take them apart at the equator-seam. Repair what I can (small holes, dents and bits of loose or missing surface paper), then sand them, attach them to bases, and paint their insides a lovely white. These globes will live on - having new lives which will start the night of the Michael Pinball Clemons Foundation Charity Gala. They will become lovely bowls that will hold flowers the night of the event. And then from there, I'm guessing that at least a few (or perhaps all?) will end up going home with some of the gala patrons - where I'm hoping that they will enjoy their new lives in new homes. For those of you whom do not know about the Michael Pinball Clemons Foundation (or www.MPCF.ca), they were founded in 2005 by co-founders Michael "Pinball" Clemons and Natasha Borota. Based in Toronto, Ontario MPCF strives to reach the most under resourced individuals at home and around the world." Their mission is to inspire hope and empowerment through philanthropy while being a conduit for accountability. Their vision "is to quicken academic excellence, infuse depth of character, promote health and vitality and inspire philanthropy." Their pillars "We believe that Character is the foundation of good citizenship. Education is the catalyst of success and progress. Health is the foundation of vitality." "MPCF is proud to support FREE THE CHILDREN in their quest to make our community, country and world a better place." I am flattered to be asked to create something special which will hold a unique place of honor, and it is a privilege to be able to play a small part in the gala. Thank you Kalla for extending me the opportunity to be a part of your worthwhile charity event! I hope it is a fabulous night filled with hope and success! 10/25/15 The bowls were all completed and sent off to Kalla. They have been received and the florist is now working with them. So excited to see pictures of the big event! !